I like it JJ, you remind me to use b/w more often. one of the many things i like about your style of photography jim... always knowing just when to use the black and white shot! beautifully done my friend. hope youre feeling 'above' the weather now mate. I agree with what John said, your photos in black and white have a special charm, dear Jim!! Thanks guys, I love playing around with B&W. I like it. 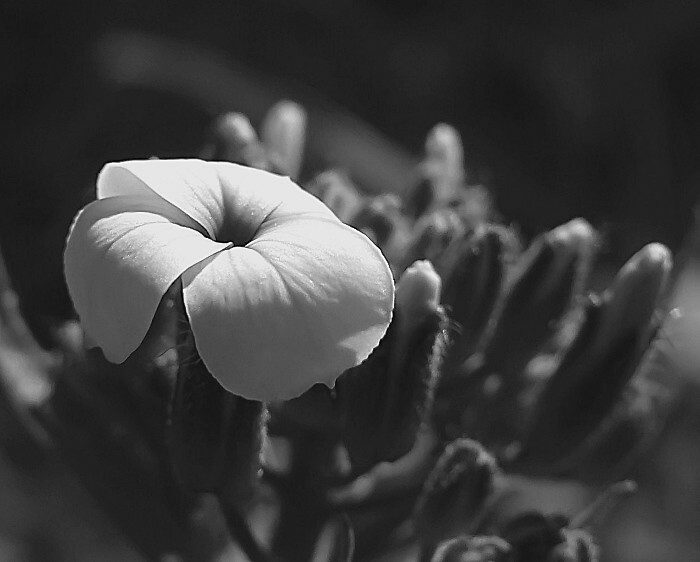 Would probably like it more in color as I like white flowers. Which I think this would be if it were in color. But it does show well in black and white. Thanks Steve. This one works well both ways. The bloom is a pink color.